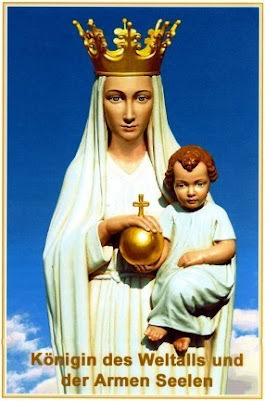 “-My children, today while ye are already celebrating the ANNIVERSARY OF MY APPARITIONS IN MEDJUGORJE and also the day of the HERALD SAINT JOHN THE BAPTISTI once again come to bless ye and give ye Peace. Like SAINT JOHN you also, you must prepare the Path of the Lord, you must be like Him, a voice that rises up in this great desert that has become this perverse humanity, atheistic, rebellious to God and given to the power of Satan. In this dessert, you must be a voice that loudly cries, which strongly calls everybody to CONVERSION and to PENANCE as JOHN THE BAPTIST did. And just like Him you much live forevermore in the Grace of God, in His Love, in faithfulness to the Mission for which ye were called, that is, of being the Apostles of the end Times, of being My true Apostles, My true children, those who made Me always better known and Loved, who made My Messages more and more known and loved so that thus, Christ is truly more known and loved and His Kingdom of Love comes faster to be installed, to be instituted in the world, in souls, in nations. As JOHN THE BAPTIST, you must tell everyone that the ax is already laid at the root of the trees; every tree that does not bear good fruit will be cut down, and thrown into the fire of hell, burning that will never be quenched. You must call on the souls to an urgent conversion saying as SAINT JOHN did, that the Kingdom of God is near, is at hand and all who will not be purified, who will not be truly converted, turned to the Lord will not enter in It, will not see the Kingdom of God. And as SAINT JOHN THE BAPTIST was not afraid to tell the truth no matter who it hurt, even if it costs Him His life as in fact happened between Him and Herod, thus also you must not fear the Herods of ye time, ye must tell the truth forevermore defend it, spread it so that thus souls can be liberated from the darkness, from error, from apostasy, from rebellion against the Lord and this way live forevermore in the truth, love the truth, follow the truth and thus be saved by the light of eternal truth. Today, My beloved children who truly obey Me in the whole world following My Messages of Peace and conversion from Medjugorje rejoice with Me for the 31 YEARS OF MY APPARITIONS, of My continued presence, extraordinary, daily in that little city of Bosnia and Herzegovina. Yes My children, the 31 YEARS OF MY APPARITIONS IN MEDJUGORJE are the great proof of My Love, for with all of you, with all of your children, for the whole world. Because I love ye so much, I appear there so many years, every day, in a new way, extraordinary, daily, intense, as never before inn the history of the world. 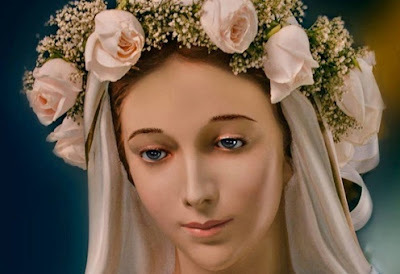 I came from Heaven in Medjugorje, Here, in El Escorial, Oliveto Citra and in so many places to call ye to prayer, to penance, to live the true life of the children of God, that He wishes for ye: which is love, which is concord, which is harmony, peace and serenity. In your days when violence, evil, hate among men, when the enemy sows division even among God’s workers and between His chosen ones, I come with My Message of Peace to pacify ye, to unite ye, to lead ye all under My sign, of My Maternal Mantle to Heaven, to Holiness, to the perfect fulfillment of God’s Will. 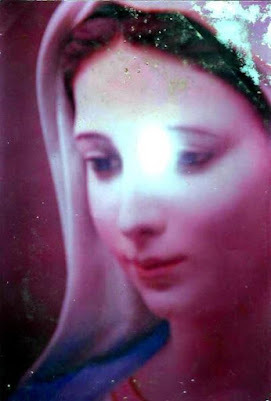 In My Apparitions in Medjugorje, which are the ultimate sign of My Love and the last invitation that I make to the world to conversion, show you the greatness of My Maternal Mercy, the kindness of the Almighty and of how much We all want to help ye and save ye. SAY YES TO OUR CALL OF LOVE DEFINITELY NOW, BECAUE THIS IS THE HOUR OF YOUR DECISION, THIS IS THE HOUR OF YOUR YES, THIS IS THE HOUR TO GIVE THE FINAL PROOF OF YOUR LOVE TO THE LORD. SAY YES, THEREFORE, NOT WITH WORDS, BUT WITH WORKS AND WITH LIFE, TO THE LORD’S CALL AND TO ALL THAT I FOR SO MANY YEARS IN MEDJUGORJE AND HERE, ASKED YE AND REVEALED TO YE, SO THAT THIS WAY TRULY MY IMMACULATE HEART TRIUMPHS IN YE, IN THE WORLD WITHOUT DELAY AND I BRING FOR YOU THE NEW TIMES OF PEACE, THAT I PREPARE EVERY DAY IN SILENCE AND IN THE SECRET OF MY IMMACULATE HEART. 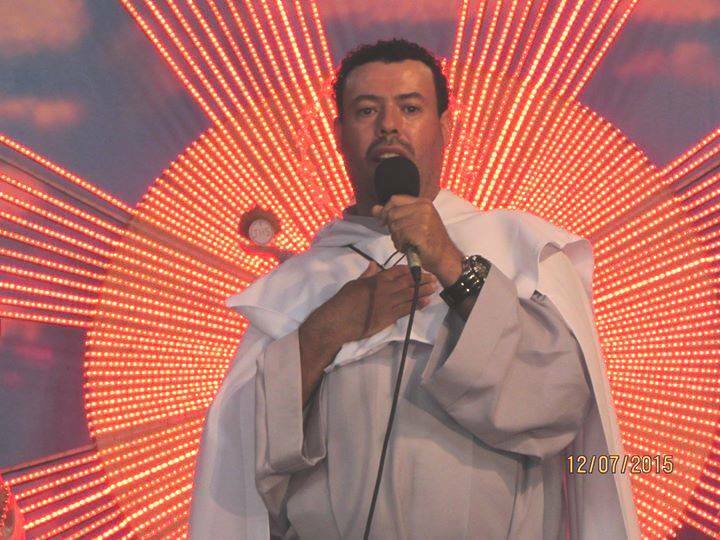 To all of you My beloved children now I bless generously from MEDJUGORJE, from EL ESCORIAL and from JACAREÍ. Peace My children, Peace Marcos, the most hardworking of My children. "The Apparition ends, the Slaves of Love ring the bells, revering the ascent of OUR LADY to Heaven. The pilgrims applaud and thanking in heart, in tender and deep gratitude." "-My children, once again I come to ask you: pray, pray, pray. Nothing is more important than prayer now. Only prayer can change the world in which ye live making it better; only prayer can stop the evils and the wars; only prayer can bring for you new times of joy and Peace. 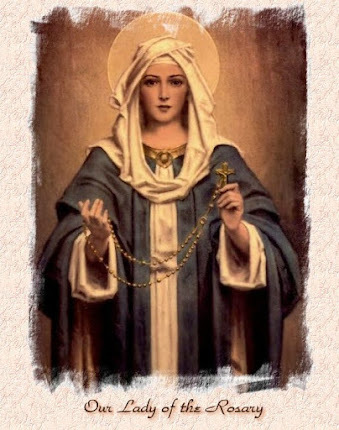 Therefore, My children, grab My Rosary and now pray like never before, so that I can triumph faster in your hearts and in the entire world. I am with ye, and above all in your sufferings, I am close to you. Do not lose peace, because the Mother of Heaven watches incessantly over you all. To all I bless at this moment with Love. "(Marcos): Then, She spoke particularly with me, blessed me and disappeared. 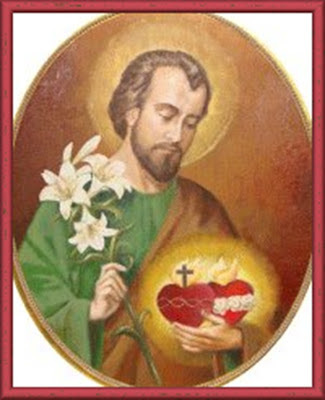 JUNE 17th 2012 - MESSAGE FROM THE MOST LOVING HEART OF SAINT JOSEPH - CENACLE OF THE FEAST OF THE THREE UNITED SACRED HEARTS OF JESUS, MARY AND JOSEPH - SOLEMNITY OF THE MOST LOVING HEART OF SAINT JOSEPH - CHAPEL OF THE OF THE APPARITIONS SHRINE’S OF JACAREÍ – SP – BRAZIL. “- My beloved children, today, on the day of the FEAST OF MY MOST LOVING HEART, I bless you once again and give you My Peace! PEACE TO YOUR SOULS!PEACE TO YOUR FAMILIES! PEACE IN THE ENTIRE WORLD! My Most Loving Heart will give ye Peace! Not the Peace of the world which is fake, illusionary and fleeting... But My Heart will give ye the Divine Peace, God’s Peace, enduring Peace. And this will happen when you, all of you, return to the Lord through MY HEART, through the IMMACULATE HEART OF MARY, following the path of conversion, of prayer and of penance of which We called ye Here. NOW THE MOMENT HAS COME TO TRULY ALL OF YE MY CHILDREN, PERMIT THAT I ACT MORE IN YOUR HEARTS, TO ACCELERATE IN YE, AND IN THE WHOLE WORLD THE TRIUMPH OF MY HEART. Only with your docile response, ready, complete and without reservations to My Heart, I will be able to accomplish in ye this My Triumph. Onward! Do not be afraid.PRAY! PRAY! PRAY ever more, as it is only through prayer that I can GUIDE you by the path of sanctification and salvation that the Lord offers largely by means of MY HEART now, to the entire world. I am with ye always in every moment, and will prepare MY MOST LOVING HEART to be your refuge, to be your perpetual abode.Enter It giving Me your yes, in these tenebrous times of Satan’s predominance and the evil in the world so that I can forevermore guard ye, protect ye and deliver ye of all evil. "The Apparition ends, the Slaves of Love ring the bells, revering SAINT JOSEPH’s rise to Heaven. The pilgrims applaud in thanks in the heart in tender and deep gratitude." Thank You so much! Thank You so much! Thanks You so much!I ask You to please bless these Rosaries. Will You touch them? Thank You so much for this great favor. (Pause) Yes. Yes. 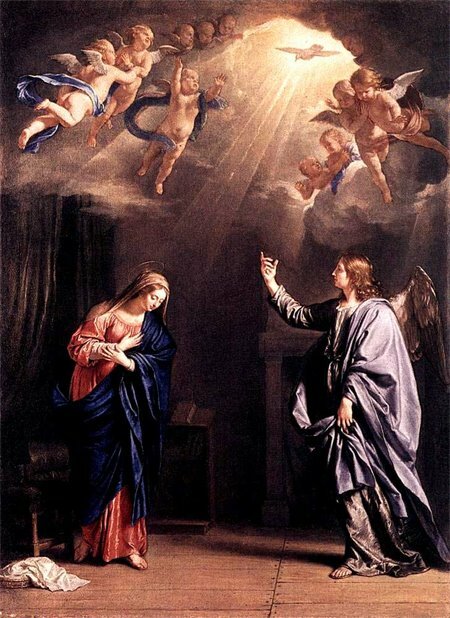 “-My dear children, today, on the day of the FEAST OF THE ANNUNCIATION, when contemplating the YES of your CELESTIAL MOTHER given to GOD and to the entire humanity and that brought you the SAVIOR and the REDEMPTOR making possible the salvation of the whole human race, I bless you once again and give you Peace! Be the continuation of My Yes on Earth, giving you yourself, your Yes to the Lord so that through you My Maternal Love continues to bring Christ to the world, being born in hearts, growing in the souls until it reaches fullness, until He reigns in all the hearts of men, so that humanity finally can find Divine Peace and can live the lasting Peace of GOD. Be the continuation of My Yes, giving Me your lives as did My little sons ALPHONSUS MARIA DE LIGORIO, LOUIS MARIE GRIGNION DE MONTFORT, as did My LITTLE SHEPARDS OF FATIMA, My little daughter BERNADETTE, My little son MARCOS and so many holy souls who have attended to My call they said Yes to Me with all their heart and let themselves be lead docilely by Me on the road of love, of holiness, of purity, of prayer and of obedience to the Lord’s holy will. By doing so, My Immaculate Heart build upon your souls a citadel of holiness, love, goodness, purity where all the virtues will grow and will be the delight and the joy of the Holy Trinity and of the Almighty. Be the continuation of My Yes on Earth, following My Maternal footprints on the path of purity, of the donation of yourselves to God, the contempt of the world and of yourselves, leaving behind all the inordinate love of creatures and seeking to have and cultivate in your hearts the true love of God, the true divine love, which will make you beautiful, holy, luminous and pleasing to God in Heaven, like the Angels!You My children who are My progeny, the progeny of the Woman clothed with the Sun, you are called by Me today, by walking every day by the road that I have traced for you, certain that soon MY IMMACULATE HEART WILL TRIUMPH. THE WARNING IS VERY NEAR, also the GREAT MIRACLE and the GREAT CASTIGATION. THE MIRACLE WITH WHICH I WILL REWARD ALL WHO PRAY MY ROSARY, WHO OBEY MY MESSAGES AND SAID YES TO ME AND THE GREAT CASTIGATION WITH WHICH GOD WILL SEPARATE THE EVIL ONES FROM THE GOOD ONES FOREVER, SENDING THEM TO THE ETERNAL DARKNESS OF HELL AND THE GOOD ONES WILL FINALLY LIVE A NEW ERA OF PEACE, LOVE AND HAPPINESS THAT WILL HAVE NO END. My IMMACULATE HEART is accelerating the days so that the days of your liberation comes quickly. Rejoice because this liberation is near! You will see marvelous things which your eyes have never seen, you will know a holiness, a spiritual beauty inside and outside of yourselves which you never before imagined one day being able to see. All this grace and all this beauty is very close to you My children! So do not be discouraged MY IMMACULATE HEART WILL TRIUMPH and in your smallness, in your fragility and even in your poverty, I will show the potency of Its Love and the potency of the Lord making His Glory radiate in the entire world!Continue with all the prayers that I gave you Here. To My little children Dina, Manuel and Liliana who came from so far, I now give a very special blessing of My Immaculate Heart extended to all their Family members. To you My little children who are with Me here all year consoling Me, loving Me, helping Me, living My Messages and giving My love to all My children, I give also today My special blessing because You said yes to Me and your yes continues My Yes on Earth. And to you Marcos, the most dedicated of My children, whose yes given to Me 20 years ago gave Me over your person and over your life all the power, all the right to dispose of you as I, your Mother of Heaven well wanted and as to Me pleased, to you who gave Me such a generous and deep yes as a long time ago, I could not find in any mortal soul and through which I accomplished wonders and made My Love reach all the hearts of My children, and I will still make it much more, I give on this day My Special blessing that will remain with you throughout your life, from FATIMA, from LOURDES, from LA SALETTE and from JACAREÍ. “-My children, today, when commemorating My Feast, I bless you again and cover you wil My mantle. My whole life was a Hymn of Love for the Lord and for all of you, My children, and you must follow by the road that I opened for you of Love, Prayer, Obedience to the Lord, Purity and Holiness, to please God as I did, and to do His will. Be docile to My Heart and let yourselves be guided by Me along the path of true Love, until I reproduce perfectly in you My Virtues and My Holiness, to illuminate this world shrouded in darkness and sin. 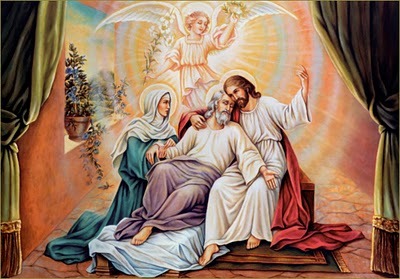 My whole life was a continual Martyrdom, beside Jesus and Mary, suffering in union with Him all His Ailments until the moment the Lord predisposed, and the countless Tears that I shed for Love of Them, these My Blessed Tears, constitute a Treasure of Great Value and Power before the Lord, and this Treasure I want to give to you, My children. Therefore, you shall pray the Chaplet of My Tears always with a lot of Love, so that, along with the Tears of My Most Holy Spouse, I enrich you forevermore with this Celestial Treasure and elevate you forevermore, in the hights of holiness that the Lord wishes of you. 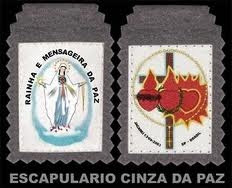 With the Chaplet of My Tears all the enemies of your souls will be defeated, and nothing will be able to overcome you. I am with you and promise our out the abundant Graces of My Heart over you. 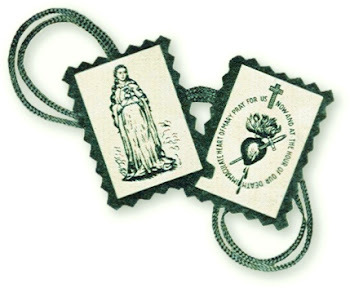 I promise you that at each prayer of the Chaplet of My Tears a soul will be saved. This Grace, I received from the Lord by the Merits of My Sufferings and Tears, and give It today to you. “- Marcos, Peace. Today I come once more, and give you My Peace and tell you: pray, pray, pray. Prayer is the world’s salvation. Prayer is the salvation of your souls. Prayer is the unique means of obtaining Peace. Prayer is the only road to arrive to GOD. 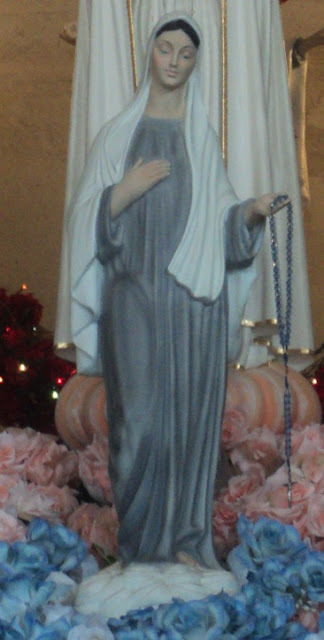 In this holy time, pray more, especially the Chaplet of the Mother of God’s Tears, and the one of the Tears of Saint Joseph, because the Lord GOD Almighty is willing to pour copious Graces on all those who pray these Chaplets, and always wishes to touch the heart of many sinners, leading them to the path of righteousness and salvation. Therefore, pray a lot. I, Manuel, along with all of GOD’s Angels, am by your side, to pray with you and guard you always. Our Lord Jesus Christ knows you by name and knows everything that you need. Therefore, in times of trouble and confusion, do not be afraid, because HE cares about you and always sends Us, His Holy Angels, to guard and help. "...My children, today I bless you with My Love and squeeze you to MY HEART. Just as the Ark was a refuge for Noah and his family, and thus, they were saved from the Flood, so also MY MOST LOVING HEART will be your Refuge in these times of apostasy and wickedness. 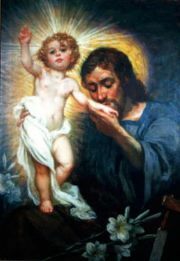 Therefore, come to Me who wants to guard you all in MY HEART for to give you further Console, Strenght, Love and Peace. Therefore, My children, do not waste more time with vain things, and consecrate yourselves in full to Me, to be Mine and live with Me and through Me always. “- My dear children, today, when you, along with all PARADISE, with all the souls of goodwill commemorate the 21st ANNIVERSARY OF MY APPARITIONS HERE, again I come to bring you PEACE, LOVE, GRACE AND SALVATION! 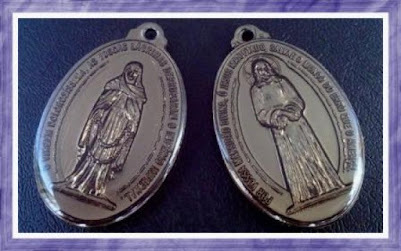 In these 21 years of My Apparitions here, I accomplished extraordinary holy works in the souls who said ‘YES ‘ to Me and flooded with great and immense gifts of graces, all those souls who responded to My call and who followed Me along the path of prayer, of sacrifice, of penance, of love and of holiness. In these years, My Heart accomplished wonders. Here in all those who immitated My son Marcos, opened the doors of their hearts and of their lives to Me, let themselves be guided docilely by Me, shaping perfectly by Me until I could build in their souls a holy work, marvelous, perfect and beautiful for the greater glory of the Most Holy Trinity. Continue to follow Me along this road of PRAYER and of HOLINESS, living every day with Me and through Me in the perfect union with Me in the prayer, in the meditation, in the immitation of My Virtues, in the complete and total surrender of yourselves to Me in the perfect consecration to My Immaculate Heart, looking in everything and in all moments let yourselves be carried and lead by Me. Continue following Me on the path of DAILY CONVERSION looking to improve every day as people, as Christians, as My children that you are, so that every day, overcoming your faults, taking your evil inclinations, you may be well willing, open, docile, meek and above all deeply faithful to the Divine Grace that chosen you, that called you here, that brought you close to Me, of My maternal love, when I accomplished in your soul, so many wonderous works of grace. My love called you, brought you here, has chosen you as you are, and I wish to lead you to a very great holiness, very deep, very beautiful for greater glory of God. So little children, let yourselves be lead always more by Me, every day of your life, until reaching the FULLNESS OF HOLINESS. Here, where I am more glorified, more loved, more exaulted, My Immaculate Heart already has its triumph in the hearts that have prayed My prayers, the prayers that I gave here, that have fulfilled My Messages with love. 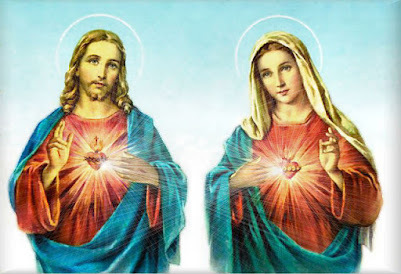 Especially My Immaculate Heart, already finds Its triumph in the heart of my little child Marcos who 21 years ago said YES to Me, followed Me, set aside his own will, his plans, his dreams and consecrated all his youth, all his life solely to Me. This unlimited donation, complete, without reservation, unrestricted from this My much loved little child, is a gift of My Heart. It is a sign of My presence, of the strength of My love, of the power of grace of My Immaculate Heart poured Here in these Apparitions, in these Messages to the entire world. In the person and the work of this My loved little child, reflects evermore My maternal Light that will become as much stronger as more dense the darkness involving all the things in humanity. And also in My little children slaves of My Heart , who gave along with My little child Marcos their yes and in all My children who by taking My Messages as the most precious treasure of theit hearts, loved Me, followed Me and imitated Me, in these My children, I already found every day My triumph and of these My children rises to the Throne of the Most Holy Trinity forevermore, the most perfect and beautiful hymn of Praise and of Love. Therefore My little children, today, when Heaven and Earth rejoice with Me for the anniversary of My presence here with My Son Jesus, with My spouse Joseph, with all the Angels and Saints, I invite you to also lift up with Me the hymn of gratitude, of the perfect love of God for being so kind and merciful with you because, where sin abounded, now grace super abounds. Where reigned the evil presence of My enemy, now, graces forevermore the breath of the Holy Spirit, the strength of Divine Love and the Peace from the Heart of My Son Jesus. Therefore My Immaculate Heart Here, already has its victory and its greatest triumph, as Here, where I was glorified with such wonderful works, so great, done by My son Marcos, where I was glorified by the YES that has given me already, so many souls, My Heart raises the flag of the greatest glory of the Lord and proclaims of its perpetual and immotal HOSANNA. To everyone in this instant, to you My children of whom I love so much and especially to you My little child Marcos , to whom I gave so much, to whom I trusted and was not decieved, I give My maternal and SPECIAL BLESSING on this day that will stay with you for your entire life. And to you Marcos, I say in a special way, do not worry about anything nor for anyone who has already lose the love for Me , who did not open themselves to My Love and did not answer with generosity to My Love and who comes to contradict you, or to attack you. Stay firm on the road of My Heart, of My Love, of Holiness, of Grace and of Peace, of which 21 years ago, exactly on this day, I came to invite you to enter and to follow Me as a meek little lamb, and you My child, gave such a generous YES AS I HAD NOT FOUND IN ANY OF THE MORTALS IN A LONG TIME. Go on, my loved warrior, onward! Bring My love, My Light and My maternal Peace to all My children. I bless you now, from LOURDES... from FATIMA ... from LA SALETTE ... and from JACAREÍ"
"-Marcos beloved of My Heart! My beloved brethren, who on this day, today you are here with MOST HOLY MARY, THE QUEEN AND MESSENGER OF PEACE commemorating the 21 YEARS OF HER MESSAGES. I, JOSEFA MENENDEZ, am very happy to be able to be here on this so blessed day, to bless you, to fill you with the graces which the Lord bestowed on Me, to pour over you. 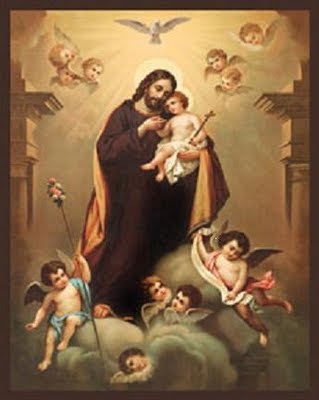 In this day in which the Saints of Heaven, in which the Seraphims and the Angels of Heaven, the Saints in Paradise, and all the blessed souls shiver exult with love and joy. I followed Our Lord and the Virgin Mary by the narrow, tight, hard path that leads to Heaven, the path of the Cross, but that is the only path that leads truly to the Eternal Life and to Peace. And I come to invite you to follow with Me by this path, renouncing forevermore the world, yourselves and answer the call of the Eternal Love that may be found by you today here as never before in the history of mankind after the, Word ascended into Heaven. Follow the narrow path, of prayer, of penance, of conversion, the relentless pursuit of God’s Grace, of Holiness, of His Will, of His Love, so that more and more in your souls reigns Christ, reigns the Holy Trinity, reigns the Grace of God, and the sin be forevermore banished from your heart, from your souls, of your entire being and therefore you can grow every day like the most beautiful flowers for the Lord’s Greater Glory! Follow the narrow path, of penance, of the escape of the occasions of falling in mortal sin, of the surrender of yourselves and the contempt of the world like the things vain and illusionary, glories and joys, to follow with Me with all the Saints of Heaven, the path of perfect Love, of generosity, the immolation of yourselves to the Father, for the salvation of all humanity, and, above everything, following Me on the path of exercising and the practice, of all the virues, especially of LOVE, of GOODNESS, of GENEROSITY, of PURITY, of INTERIOR DOCILITY, so that every day your souls where flowery and fragrant gardens can make flourish all the flowers of virtues to once again turn this world that transformed itself into a swamp of sin and evil, be back into a garden of Beauty, of Grace and of Holiness. Follow Me along the path of love of Jesus crucified, embracing for love of Jesus all the crosses that He allows in your lives as I did, uniting your sufferings to His, to those of the Lady of Sorrows and of Saint Joseph, so as to achieve the conversion of so many sinners hardened sinners who without this offering of llife from each one of you would never be saved. Therefore, we can save them, lead them on the path of holiness and of love and therefore achieve for so many souls who run the risk of to condemn themselves, the grace of salvation, the grace of sanctification. I, JOSEFA, am with you every day of your lives. I love you very much! I never abandon you. I am always with you and especially in the HOUR OF THE SAINTS I am very close to you, to collect your prayer, to collect your suffering, to collect all your petitions of your souls, and present them to God united to Mine to attain superabundant graces for you! I now put My mantle over you and cover you, especially to you also Marcos, I cover you with My Mantle of Light, to guard you, protect, bless and even cause with all of you that you are a precious part of the ARMY OF THE MOTHER F GOD, of the THREE SACRED HEARTS, that you are a portion most favourite of the flock of the Divine Shephedess, that in these times in the whole world meets as Her sheep, the sheep of truth to lead them down the road of salvation, of holiness, of good and of peace. THE SOULS WHO RECEIVES THE MESSAGES WHICH HEAVEN HERE GIVES, ARE SHEEP OF TRUTH, ARE SHEEP OF THE LORD. THOSE WHO DO NOT RECEIVES, ARE SHEEP OF THE DEVIL, IN TRUTH ARE NEITHER SHEEP, THEY ARE RAVENOUS WOLVES THAT WITH THEIR PERFIDY THEY ONLY SERVE, THEY ONLY LIVE, THEY ONLY WORK TO BE ABLE TO KILL THE SHEEP OF THE MOTHER OF GOD AND DEVASTATE HER FLOCK. 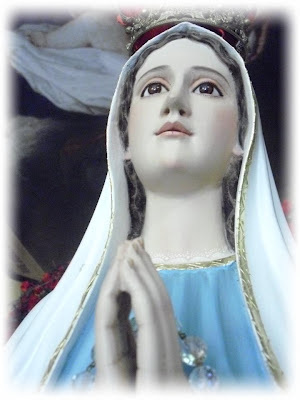 FLEE FROM ALL THOSE WHO DO NOT HAVE THE TRUE DEVOTION, THE TRUE LOVE OF MOST HOLY MARY, A LOVE, A DONATION SIMILAR TO THAT OF MARCOS HAS, TOWARDS HER, TO THE YES THAT HE GAVE FOR HER. BECAUSE ALL THOSE WHO DO NOT LOVE THUS THE MOTHER OF GOD, ARE NOT OF GOD, ARE NOT CHILDREN OF THE WOMAN CLOTHED WITH THE SUN, BUT YES CHILDREN OF THE INFERNAL SERPENT. THEREFORE MY BRETHREN, GO FORWARD IN THIS NEW PHASE OF MOST HOLY MARY’S PLAN WITH LOVE AND CONFIDENCE! 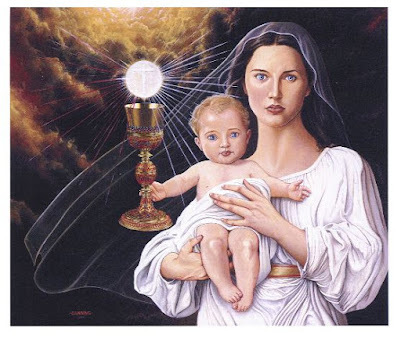 YOU WILL EVEN DO GREAT THINGS FOR HER, YOU WILL ACCOMPLISH THINGS FOR HER THAT YOU NEVER THOUGHT OF DOING, YOU WILL CONQUER MANY SOULS AND HEARTS FOR HE ARMY OF THE MOTHER OF GOD. SO GO FORWARD! WITHOUT FEAR, I AM WITH YOU AND ACCOMPANY YOU WITH MY INTERCESSION AND WITH MY PROTECTION ALWAYS! To everyone, to you Marcos My most dear brother and beloved who divulged so much My life, the Messages that the Lord entrusted Me resurecting all that humanity and ungrateful and wicked men buried in oblivion. And to all of you who also help Marcos to divulge the Messages that Our Lord gave Me, in this moment I bless generously with all My love! (MARCOS): See you soon, dear Sister Josefa! “- My beloved children! I, JOSEPH on this DAY of great celebrating and rejoicing in Heaven and on Earth, bless you and give you My Peace! In My APPARITIONS HERE IN JACAREÍ My MOST LOVING AND CHASTE HEART was glorified like never before in the history of humanity. So here I pour unlimited graces from My MOST LOVING HEART over you every day and do not restrain the greatness of My Paternal Love to give each one of you in every moment, all the days of your life. In MY APPARITIONS HERE IN JACAREÍ I was exceedingly glorified, first by My little child Marcos who has always cultivated a TRUE DEVOTION TO ME, and always worked to plant it and cultivate it in all the hearts, after in all My children who firmly believed in My MOST LOVING HEART, firmly believed in the glories of My Heart welcome My Messages, welcome My HOUR OF HOLY PRAYER every sunday, welcome the IMAGE OF MY HEART and now the MEDAL OF MY HEART. In these My children I am extremely and deeply loved, glorified, exalted and in these My children I pour the copious blessings of My MOST LOVING HEART without limit, without counting so that they can grow each day more in the love of God, in grace, in holiness, in spiritual perfection. 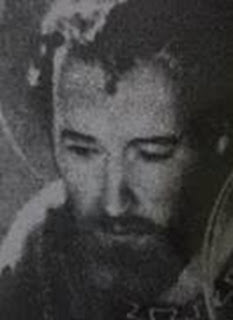 In MY APPARITIONS IN JACAREÍ, I was greatly glorified, consoled and the TRUE DEVOTION TO ME was finally ressurected with power, was spread with abandon in the midst of My children, so that they know Me, love Me, invoke Me and always had Solace, Peace and Love, along with My Most Loving and most good Heart. COME TO ME! YOU WHO ARE TIRED AND DONWCAST, WHETHER BY THE WEIGHT OF YOUR SINS AND MISERIES, WHETHER ALSO BY GREAT TRIBULATIONS THAT IN THESE TIMES YOU ALSO HAVE TO GO THROUGH, TO REACH THE TRIUMPH OF THE IMMACULATE HEART OF MARY. COME TO ME! COME TO MY HEART! WHEN YOU FEEL WEAK THERE IS WHEN I AM CLOSEST TO YOU. TELL ME THE GRACE THAT YOU DESIRE FROM MY HEART AND YOU WILL SEE IF I AM NOT YOUR FATHER, IF I AM NOT PRODIGAL IN FAVORING YOU, HELPING YOU AND LAVISH YOU, WITH ALL THE GOOD AND ALL THE GRACE OF THE MOST HOLY TRINITY. YOU WILL SEE IF I DON’T POUR MY BLESSING OVER YOUR SOULS, OVER YOUR HOUSE AND OVER YOUR WORKS, AND IF I WILL NOT ALWAYS BE A FATHER ALWAYS PRESENT, ATENTIVE AND SWEET TO HELP YOU, TO SUPPORT YOU, GUARD AND SAVE ALWAYS! MAKE THE EXPERIENCE, AND THEN ALONG WITH ALL MY CHILDREN WHO LOVED ME AND GLORIFIED ME, MAINLY MY LITTLE CHILDREN ANDRÉ BESSETTE, SAINT TERESA OF ÁVILA, MY LITTLE CHILD MARCOS, YOU WILL THEN EXCLAIM RADIANT, WITH JOY THAT I AM THE TRUE FATHER OF THE ELECTED RACE OF OUR LORD JESUS CHRIST, OF THE CATHOLIC PEOPLE, OF THE CHRISTIAN PEOPLE! YOU THEN, WILL SING THE HYMNS OF PRAISE AND GLORY TO MY HEART, WHICH SANG ALL THOSE WHO HAVE KNOWN MY GOODNESS, MY LOVE, MY MERCY AND MY DEEP COMPASSION FOR ALL MY CHILDREN WHO STILL MOURN IN THIS VALLEY OF TEARS. HERE, IN MY APPARITIONS IN JACAREÍ, MY IMMACULATE HEART BUILT ITS THRONE OF LOVE AND OF GLORY AND HERE MY CHILDREN CAN FIND ME AS A FATHER, AS A KING ALWAYS MERCIFUL, AND READY TO HELP THEM, TO SUSTAIN THEM, TO FAVOR THEM, AND TO ALIVIATE THEM. 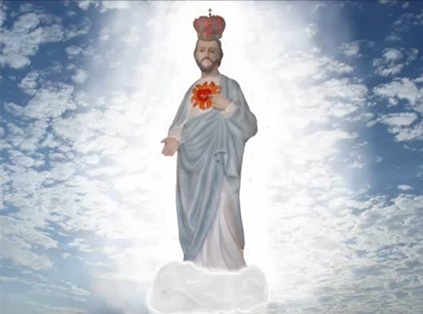 AND HERE IN THESE APPARITIONS WHERE I WAS GLORIFIED, MORE GLORIFIED AT ALL TIMES EVER IN HISTORY, MY IMMACULATE HEART WILL PRODUCE ITS GREATEST TRIUMPH IN THOSE THAT HAVE KNEW AND LOVED ME. GO MY CHILDREN! 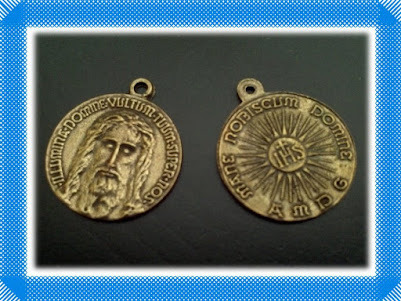 USE, PROPAGATE THE MEDAL OF MY HEART WITH LOVE, WITHOUT FEAR TO ALL MY CHILDREN, BECAUSE SO MANY PEOPLE WILL RECEIVE CONSOLATION, RELIEF, PEACE AND HOPE BY MEANS OF THIS MEDAL, THAT CAME OUT FROM THE DEPTHS OF MY MOST LOVING HEART, MOST CHASTE AND MOST HOLY HEART. Go! Take My Messages, My Hour of Prayer and all the prayers that Our THREE SACRED HEARTS gave you here to the attention of all Our children, as they will renew humanity and will prepare it for the SECOND PENTECOST, the glorious descent of the HOLY GHOST bringing for you, for the entire world: new Heavens and a new Earth. Here in My little child Marcos, who answered Yes to My Heart by first and then in all My children, My Heart will find its delights, Its rest and repose, Its refuge and in these hearts will be poured like an abundant summer rain, inundating all the souls of Love, Peace, Light and Grace of Salvation! "My beloved children, I am the Mother of God, I am Theotokos, your Mother. Early in this New Year that begins, I have come to tell you I AM THE MOTHER OF THE NEW TIME, the new time of Grace that God grants ye, with the dawning of this New Year. 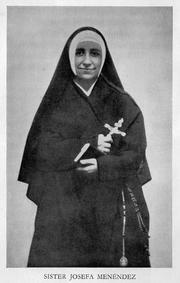 I am the Mother of the new time of Grace, and therefore, call you to a deep conversion, to a profound change in life, and truly reshape all your life according to the will of God, His Law of Love, with My Messages, so that your life will always be a signal of God's love and My love in the world among men, and ye that are light in the midst of so much darkness that has now descended upon humanity. I am the Mother of the new time of grace and that's why I call you all to an urgent return to God. 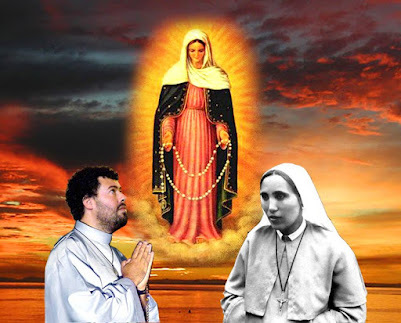 I come to call the world to conversion for the last time, after that My Apparitions here in Jacareihave finished, I will never return to this world. Thus, My children, this is the last chance that God and I give to all mankind and to every one of you. Do not throw away your salvation. Do not play with something as serious as this time of grace that God gave ye, while My Apparitions here last. While I'm here giving My Messages to the whole world and also to ye, I can also help ye to convert, to save ye, I can draw you nearer to God, I can ever more, take ye until God. The time will come that My Apparitions will cease, and then those who scream for Me calling Me, to these I can no longer help. I cannot do anything else for them because the time of mercy and clemency will have already passed. Know, and therefore, recognize the time of My visit and do as St. Elizabeth, Zacharias and little John the Baptist did; exult with joy in God for My presence here. Know and listen to the words that I tell ye. Know to recognize Jesus, know to recognize the Lord that I bring with Me in My Apparitions, to give you, to reign in ye and in your lives. Receive him! Accept it! Love him! Follow him! Hear My maternal voice, that orders ye all: throw open the doors of your hearts to Christ. So, truly you'll valorize the grace of My presence, and of My Apparition here, and truly ye shall give Me, what I came here looking for from Heaven 20 years ago, and what I never tire of asking you: LOVE! True love, supernatural love, profound love on pure transformation, by God and Me, by the salvation of souls, and by yourselves. Save your souls by praying, doing penance, divulgating My Messages, thus by helping Me to save the souls of the others, ye will predestine your own souls, to Heaven and Salvation. My children, I am the Mother of the new time of grace, which the Lord hath given ye in this New Year because I want to follow with you in your conversion. I want to continue the process of your sanctification, leading ye ever higher, ever closer to the Lord, always, so that ye may become more holy and more similar to my son Jesus and Me. Therefore, I ask you a greater docility, greater confidence, a greater surrender in My Hands, a higher waiver of yourselves, and the world, so that you may be docile instruments in my hands, so that I accomplish through you, My Plan of Salvation for all of humanity. I am the Mother of the new time of Grace, which the Lord has granted ye, and that's why this year I will pour upon you like never before, the Effective Graces of My Immaculate Heart. And if you cooperate with My Grace, if ye help My Grace, I'll truly do extraordinary things through you. In these times of great apostasy, of the great tribulation, on what the darkness of sin, of evil, lack of faith, loss of faith, of apostasy ended up and has overlaid the entire world. Even the Catholic Church, which is the only one true, unique way to salvation, My daughter is disfigured. The church is covered with sores, because many of its ministers and its faithful no longer pray, do not have the true faith, and have assimilated the mistakes of the world that are now taught and propagated as truth, as a good. In these times where everything collapses, and finishes, I come to call you to be my faithful children that ye may be my good toilers, good workers that rebuild My Holy Church with Me, defend the holy Catholic faith, save the souls of My children, and lead them all to safe refuge of My Immaculate Heart, before it gets dark, and falls the night of the great tribulation. So I send my children, not to the amenities of the world, but to fight, to work, to tussle for the salvation of souls that I love so much and cost all the blood of My Son Jesus. 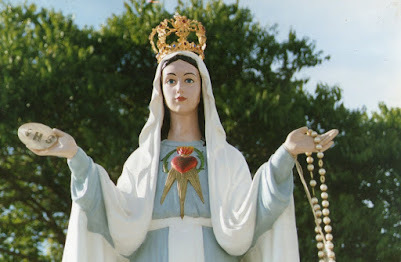 Thus, by helping Me to save these precious souls in the world, I can hasten the time of the glorious and miraculous triumph of my Immaculate Heart. 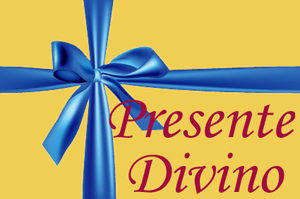 Confidence My children, in this new time of Grace, in this new year that God gives ye, because your Mother has everything already planned and drawn, already has Her victorious plan, successful, fully drawn by Her and by the Holy Trinity, in smallest details. Do not lose hope, do not lose courage and confidence, follow in peace because your Mother in Heaven, even knows how many hairs you have, knows how many times your heart beats, and won't allow the enemy to prevail upon you. Therefore, My children, move ahead, because I am with you along with My Son Jesus and Joseph, as My Son Jesus, have promised ye, until the end of the world. And by the end, my Immaculate Heart will triumph, because on My Immaculate Conception, in My YES I've overcome the world, I have overcome, Satan. Stay in the Lord's Peace... Peace be to you, Marcos, The most darting of My children..."
"My beloved children, My Loving Heart blesses you today as this New Year is born, and gives ye Peace. Be not afraid! My Loving Heart is with you. It is your shield. It is yours refuge, and seeking refuge in It, you will be protected and defended from all evil. 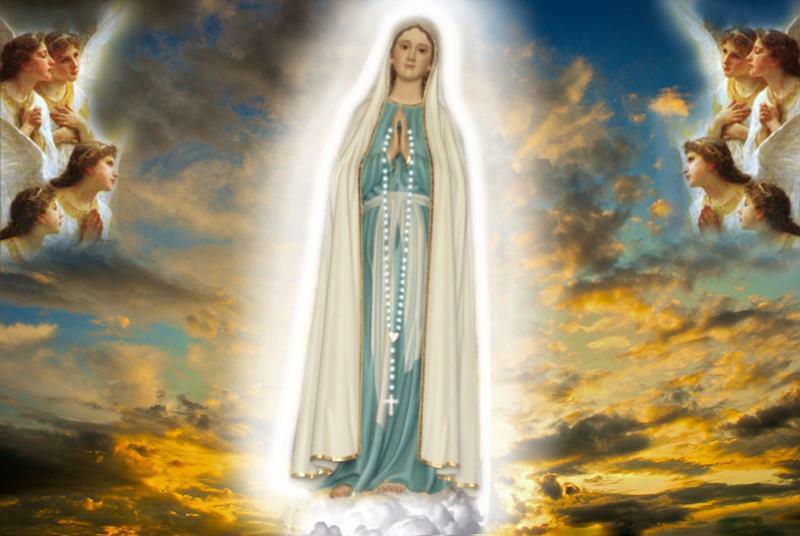 As well as I have not failed in the care, of the Child Jesus and the Immaculate Virgin, the two Greatest Treasures of the Eternal Father, I also will not fail with ye, that are the blessed race of the Lamb of God, and the Woman clothed with the sun. Will keep ye, will protect ye, and defend ye, forever! And today, I come to call ye to grow more in love, trust and docility to Me, so that, My Flame of Love descends, and powerfully triumphs in ye. MY FLAME OF LOVE SHOULD DESCEND and triumph in ye, in this new year that is born, and that's why you shall to come back now with all your love, to My Paternal Heart, because My Heart wants to bestow upon ye His Flames of Love, to blaze ye, ever more of love for the Lord, and making you grow in virtue and holiness. Therefore, I want your total unreserved, “yes” to My call of love today, so I can kindle My Flame in ye today, so that, I can turn ye, into bright torches, that brighten this world shrouded in darkness of evil, of sin, of apostasy and hatred. My Flame of Love should come upon your hearts and triumph in ye, and so I want you to intensify your prayers, always asking for the outpouring of My Flame of Love that will prepare you for the Second Pentecost, which draws nearer to you. WHEN THE FLAME OF LOVE OF MY LOVING HEART IS KNOWN, AND PROPAGATED, THEN THE SECOND PENTECOST, THE SECOND DESCENT OF THE HOLY GHOST, WILL POWERFULLY OCCUR IN THE WORLD, MAKING THAT ALL SOULS RESSURECT TO THE GRACE OF GOD, THAT THE DESERTS BECOME INTO FLOWERY AND BEATIFUL GARDENS, AND SO THE WHOLE WORLD MAY KNOW, A NEW ERA, A NEW TIME OF PEACE, LOVE AND HOLINESS! My Flame of Love shall to descend and triumph on ye, and that is why, I ask ye to imitate, the love that the Saints had for Me, especially my daughter Teresa of Avila, Andre Bessette, and many others that loved Me, with so much strength and intensity. So that through you I can also accomplish admirable things, can convert many sinners, and make shine, ever more, the Glory that the Holy Trinity has given Me, so that sinners are not afraid to approach the Lord through Me, because I am a loving Father, merciful and sweet. In Me there is nothing terrible, nor severe, I love sinners and desire to lift them out, of the mire of sin in which they have fallen. Therefore, I extend My hands a thousand times per day, if needed, to the sinner who calls Me, that calls Me with confidence and surrenders completely to Me, asking Me to help him to convert himself, and to return to the Lord. 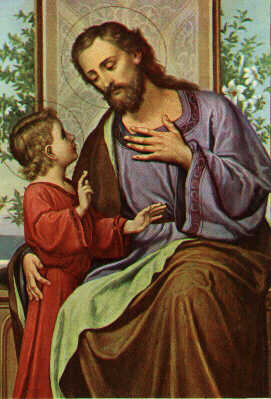 My Heart will never reject, never say no, to one who asks Me, “My beloved father Joseph, save me!” To the sinner who invokes Me, even if his sins are darker than the night, if he invokes Me with confidence and love, I will not reject him, will not leave him, but will take him in My arms, as I did with the Child God, and then and there, I will to carry him again to the House of the Father, reconcile him with the Lord, and with the Blessed Virgin, will cleanse, will heal his wounds opened for his sins, and I will give him, a new beauty, a new life in God. My Loving Heart, will pour out His Flame of Love upon ye copiously the more you open your heart to Me, and give Me access to your heart. So dilate it, open it widely for Me, and in this year, I will pour My Flame of Love over ye so much that you shall fuse with God, as metals are fused in the fire. I wish to lead ye, to an extreme holiness, so I want your, “yes”. I open to ye the door of My Loving Heart that is, and will always be, your refuge. Enter upon It, and I will keep ye, nourish, teach, and will carry ye, ever more, to the Heart of Jesus. Peace, My beloved children, stay in the Lord's Peace, I cover ye with My Mantle..."